Evan Hoyt will be looking for his third doubles title of the year. Evan Hoyt has hit new carer highs in singles and doubles. The 23-year-old Llanelli player has reached 439 in the world in the singles rankings – one spot higher than his previous career best. Hoyt’s ranking makes his No 9 in Britain at singles. And he has moved up eight places to a career high 256 in the world in doubles after claiming his sixth win of the year in Tunisia last week. 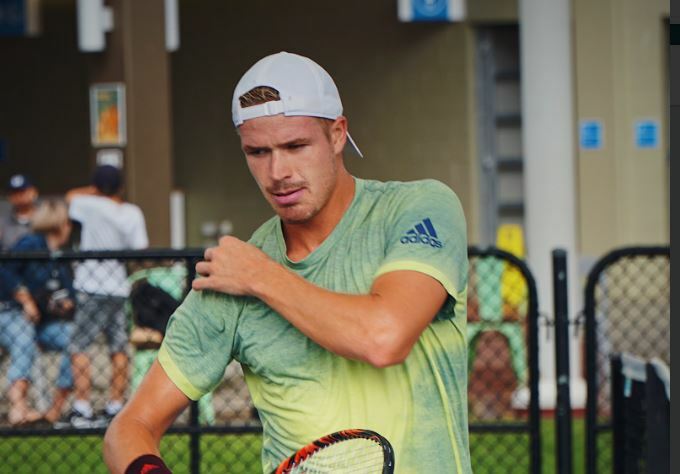 The right-hander and partner Luke Johnson triumphed in the ITF Futures tournament in Monastir. Hoyt also reached the semi-finals of the singles events in Tunisia having beaten his doubles partner in the quarter-finals.